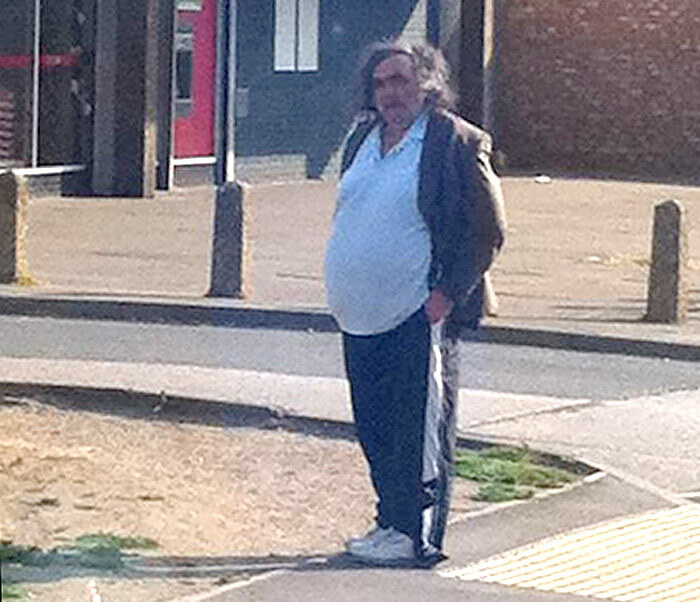 A well known and much loved living legend of the city, “Nobby the Tramp” as he has been known in recent decades, became a familiar sight on Oundle Road near to the Orton Mere junction where he lived in an old bus shelter but his life and legend is full of myths, legends and rumours even to this day. 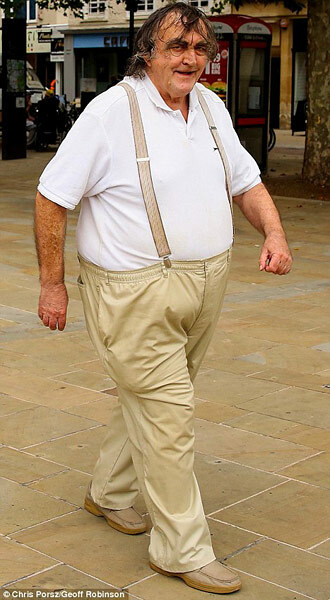 There are many rumours behind his choice of a vagrant lifestyle, all too tragic and sensitive to warrant speculating on but most claim that he was once a teacher or even a head-teacher in Peterborough even though it seems unusual that no records have surfaced to support that. The earliest references to his time in Peterborough come from the Orton Malborne area where locals remember him as “Jed” in the 1970s and claim that was actually his real name. Subsequent newspaper reporters are adamant that “Nobby” claimed his name was “Michael Rose” and others have offered names such as “Mister A” and “David” but whichever it is, it certainly is not and was never “Nobby”. The name “Nobby” came from a graffiti tag on the side of his bus shelter on Oundle Road but the tag was there before “Nobby” moved in and was added by local “bad boy” Anthony Norbury, known as “Nobby” to his mates ! 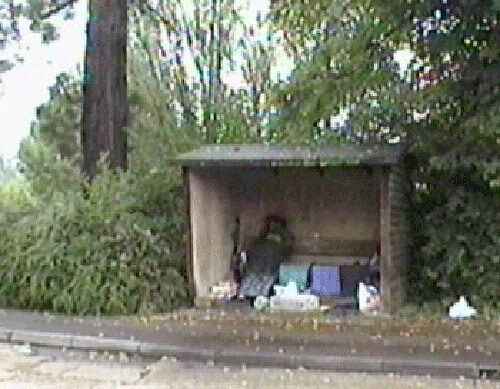 The earliest reports of “Nobby” in residence at his redundant Oundle Road bus shelter date back to 1987 and he was still there in 2005, albeit there are also references to him spending time at a shelter on Midland Road. Previously, he made his home in another bus shelter in the Ortons but was hounded out by residents who were fed up of having to wait for buses in the rain ! 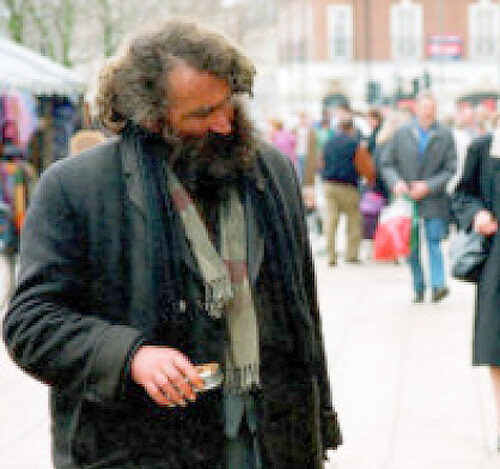 He was also a regular sight in the town centre throughout this period where his textbook vagrant habits sat uncomfortably alongside regular trips into his Building Society on Long Causeway where rumour had it, once again, he had a more than healthy bank balance ! 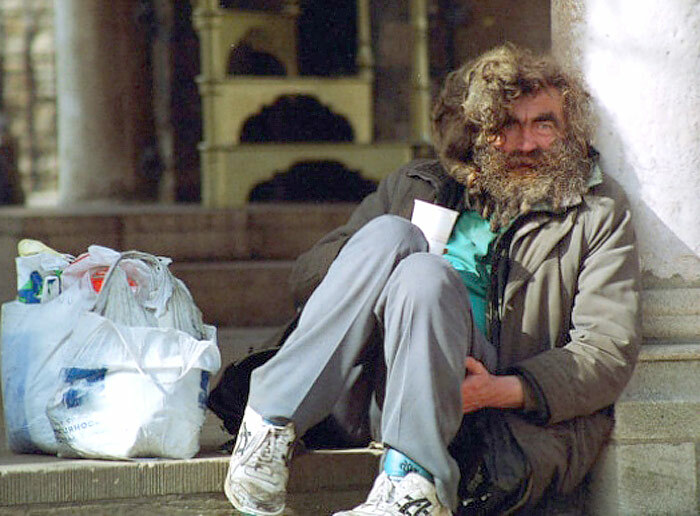 “Nobby” was a long time sufferer from leg ulcers and regularly spent short periods of time in Peterborough District Hospital where he always re-emerged cleanly shaven but it was during one of these visits in late 2005 that his life started to change significantly. In his absence in November 2005, his Oundle Road bus shelter was attacked by vandals who smashed the woodwork, scattered his belongings and set fire to what was remaining. The attack featured in local newspaper headlines and the public response was so supportive that the local parish council rebuilt the shelter just for “Nobby” and a local double-glazing firm even fitted double-glazing doors as added security for him ! 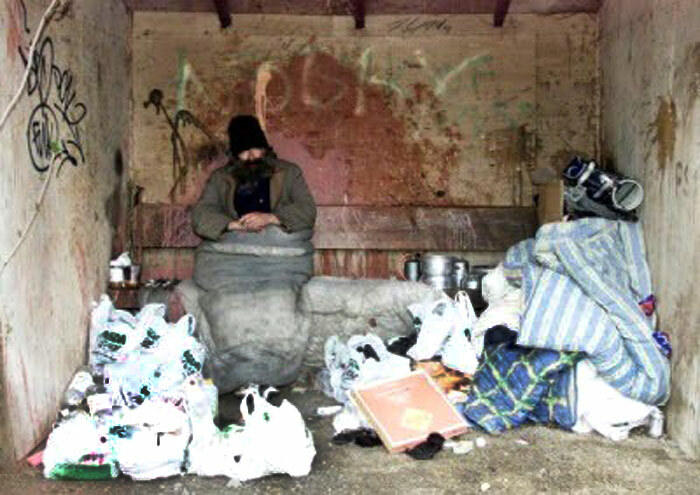 Whether it was the rebellion against such luxuries, such publicity or just the realisation that life couldn’t go on like this, after moving on to another bus shelter further down Oundle Road, “Nobby” decided it was time for a better life and requested housing which was granted in February 2006 when he set up in a fully furnished residence off Welland Road in Dogsthorpe where he remains a familiar sight today (2014).